As some of you might have recognized, I am working as Marketing Development Manager for Scottish Swimming in my professional life. Being a rather proficient cyclist I have long wanted to bump up my swimming skills, and felt rather embarrassed that I have been working next to a swimming pool for almost a year now, yet I hadn’t really managed to make proper use of it. With a shiny new wet suit and some new trunks in the drawer, a girlfriend who is into surfing and the general guilt resting on my shoulders, I have now managed to change that. But how? It is really quite easy. I have volunteered to take swimming lessons together with other Scottish Swimming staff and their friends, to train us up for the next personal challenge. Remember that training can be taken from any level of expertise. In fact, people across the world are benefitting from doing so. Some people prefer Coast2Coast Private Swimming due to the more personal experience. In my case, I’ll be training in open water swimming, as I really like the idea, I might even be convinced to do the odd triathlon in the future. 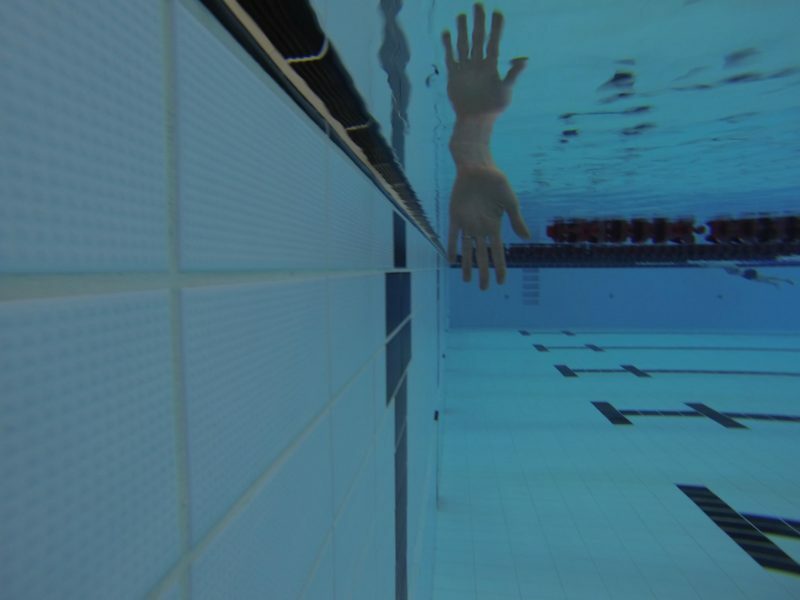 To get there, I had my first lesson this Thursday, and after warming up with combining the odd dive through the pool to test the new GoPro camera for Scottish Swimming with some lanes of breast stroke, my moment to shine came. Alex, one of the teachers, did a great job, teaching me the first steps to swim front crawl. I worked on my leg kick first, as I wasn’t really utilizing the power I have in my legs from cycling to get me through the pool. We also worked on my arm technique, streamlining seems to be the the key to success here, not getting them as high as possible in the air. To finish the first lesson off, I learnt how to breathe properly, and this time I really appreciated the simplicity of cycling. First I was sticking my head in the air like a statue arising from the water, the next time I was forgetting actually to breathe. In the end I worked it out. For the first lesson, I did rather well. Maybe not as well as my girlfriend who has been on the bike 6 times or so and manages 70k already, but that’s another story. Stay tuned for more stories, very soon!